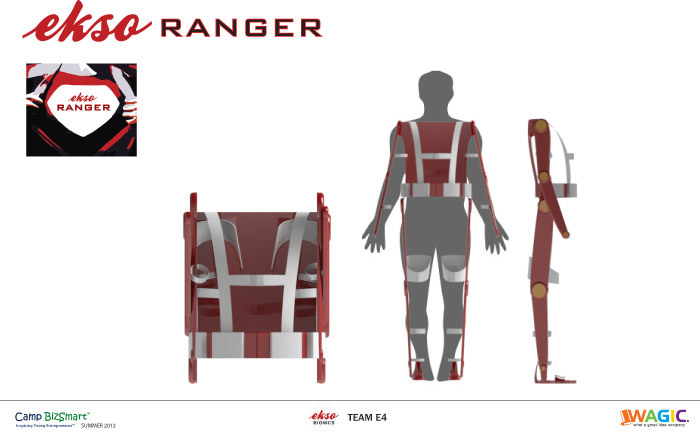 Design a wearable bionic suit for able bodied individuals to augment human mobility and capability. 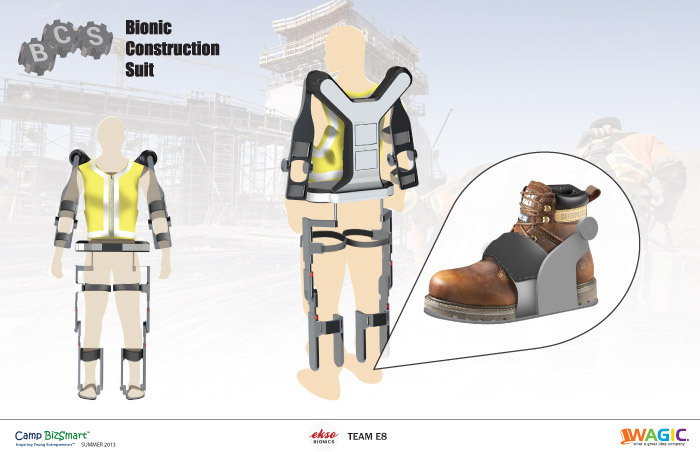 This bionic robotic device should be designed to augment & enhance their physical ability to significantly increase strength & endurance while protecting their bodies from stress & strain. Able bodied individuals like firemen, policemen, rescue crewmen & relief crewmen as well hiking guides & park rangers. Current weight of device is 50 lbs, which is transferred to the ground. Reduce your product device weight to 25 lbs or less. Price to optimize market penetration/profitability & competitive positioning. The price should be appropriate for the product & priced to gain competitive advantage while taking into account insurance reimbursement issues. Target Price Point Challenge: 25K-50K range. Material that contains the bionics/technology/sensors/must be durable, cost effective, easily attainable & (when necessary) service /replace. We need to grow more with less water. 70% of all water used is to grow crops; 20% for industry power; 5% for landscaping and 5% for personal use. Water is a limited & precious commodity with escalating demand, due to population growth, water restrictions, & soil erosion. Water sustains life and is fuel for food, but the cost is exploding with rates in California up 10 – 20 % in 2013. Select one consumer which presents the greatest market opportunity: Owners of Golf Courses, Hotel & Resort Chains, Parks, Sports Fields, or Home & Community Gardens. 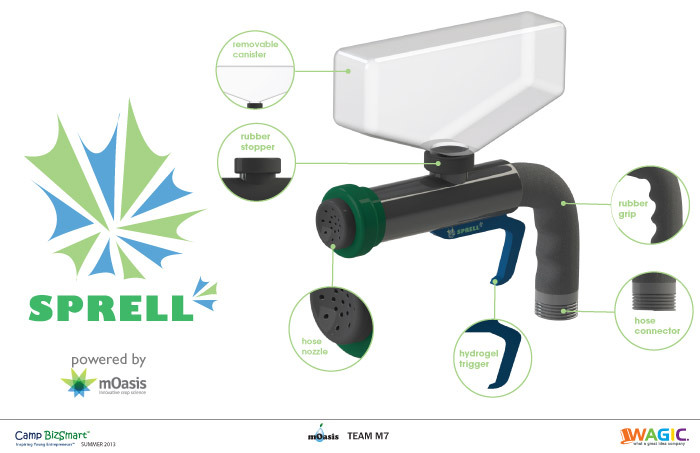 Select one or more mOasis physical shapes and consistencies (coarse to fine granule to liquid to gel) to create a soil amendment/additive product solution to dramatically reduce water use needed to grow & produce greater plant yields of higher quality. Vegetation may be ornamental or for food production. 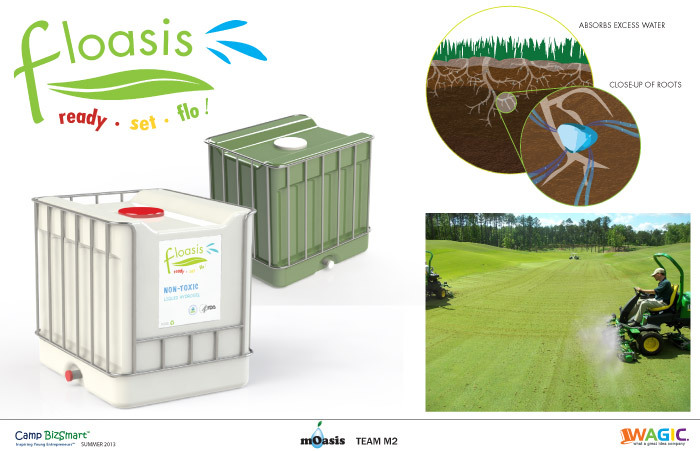 Reduce soil erosion from run off using the mOasis product to stabilize the top soil and avoid the cost of loss and replacement from wind and water run-off and dead zones created when nutrients are lost. Product must be non-toxic, including any additives to the mOasis material. Name your product, set a retail price, create a marketing tagline and sales promotion strategy, and ROI (return on investment). State why your product creates value and who benefits. Price to optimize market penetration and profitability, and competitive positioning. Create product sketch & rendering and a simple product prototype to illustrate how product works. Competitive analysis: features, benefits & advantages which will differentiate your design from others on the market now and in the future. Identify partnerships that would increase your “go to market” ability. Devise a plan for distribution & transportation of the new product.